Teen.Radical.and.Unashamed for Jesus Christ or T.R.U. 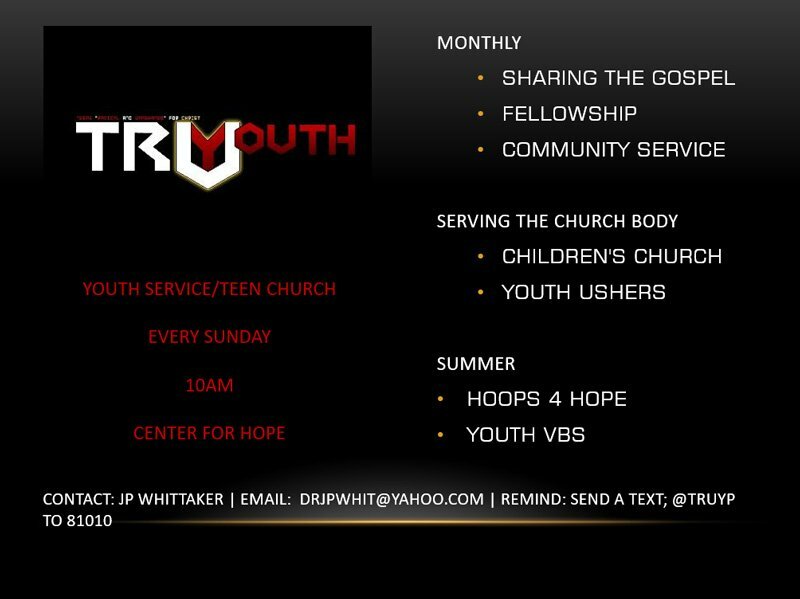 Youth is a ministry focused on youth ages 12-18. We strive to fulfill the mission of Jesus Christ and Good Hope Missionary Baptist Church as we love God, love people, and serve others to make disciples with a focus on the youth through impactful worship service, age specific small groups, dynamic fellowships, discipleship, sports camps, and the basketball ministry.